Since 1982, Gerry Levasseur has owned/managed CAG. As a Business Management Consultant, he provides clients with a wide variety of services, targeting their specific needs. Calling on his expertise in both Human Resources and Small Business Management, Gerry offers training and development programs, Human Resource planning, recruiting and interviewing services, Career Transition Services and various types of Coaching. He has also devoted many years to the development of Entrepreneurs through his affiliation with organizations such as the Centre of Entrepreneurship at Centennial College in Scarborough, the Georgian Triangle Economic Development Corporation in Collingwood and the Business Enterprise Resource Network in Barrie, Ontario. 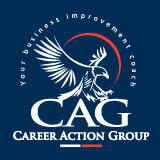 He has been a Business Coach and Mentor for numerous businesses of all sizes. A dynamic speaker, Gerry’s instructing and speaking engagements stretch from Huntsville to Toronto on topics such as sales/marketing, business planning, career and self-development, managing corporate and personal change, customer service, coaching/mentoring and more. Gerry enjoys blogging on his website providing advice on Business as well as sharing personal experiences. He loves incorporating humour in his writings. He believes life and business experiences are best learned through humour. His latest venture is writing his own Biography. Gerry took Business Administration at the University of Windsor and Human Resources at Humber College, part of his MBA at York University and various other courses at University of Toronto.